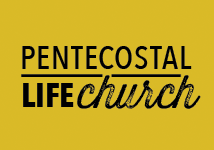 What can you expect during your visit to Pentecostal Life Church? You will not be a faceless number in the crowd. You can expect vibrant worship services, the preaching of a powerful message about the hope we have today in Jesus Christ, fantastic Sunday school for your children, and you can expect a life-changing encounter with God! This is a family atmosphere and love abounds. Don’t you want to come grow with us?! Parking is available in front of the entire building located at 1201 Oak St. There is a front entrance with a black canopy over the breezeway and that is the entrance to use. How do I locate the main auditorium and classrooms? We offer a very exciting children’s program on Sunday Morning. Sunday morning service starts at 10:30 and is typically over by 12:00pm. Thursday service starts at 7:00pm and it usually over by 8:15pm. Our motto is a service doesn’t have to be eternal in length to be eternal in value. Our services combine music, prayer, teaching and preaching, which are all designed to bring glory to our God. We want everyone to feel comfortable joining in the praise and worship in whatever way suits you. Some people’s personality is more boisterous than others; some prefer to worship softly; but He deserves all our praise at every opportunity we have. Some of the songs are fast and upbeat and some are slow and meditative. The speakers are usually very passionate. We feel like the messages preached are relevant, down to earth and helpful. Some dress casual and some business. It’s up to you. Modesty is the attribute considered most desirable. Because we believe the house of God is the place where we come to honor Him, we encourage you to be comfortable and want you to be able to worship the King of Kings without distraction. We want all of the attention to be on Jesus Christ. Our desire is that you may experience the awesome presence of the Lord, which will give you a desire to return to Pentecostal Life Church again and again.